Caring for the soil requires daily inspection of plants, soil testing, thoughtful addition of amendments and only necessary tilling. 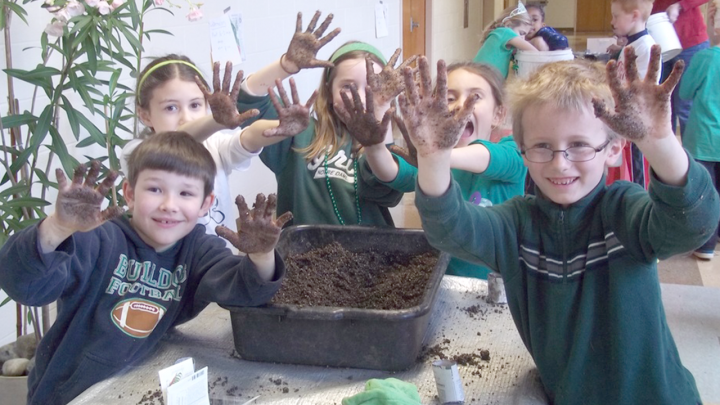 There is always more to learn about soil. The same could be said for community – it requires daily attention, thoughtfulness, taking time to learn about each individual and the group as a whole; a giving and taking; listening and sharing. We wouldn’t be a community garden without the soil or the relationships. Over the past couple of weeks we have expanded our connections as we have welcomed many visitors and volunteers. 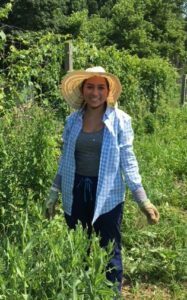 A young woman began her 3 week summer garden internship experience. Eliana has quickly become at home in the garden and our community life. 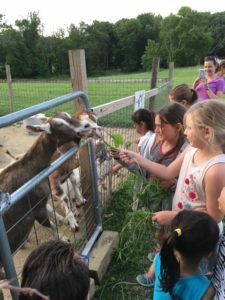 The school garden program began summer evening visits. The animals were happy to see the students and partake of extra greens! 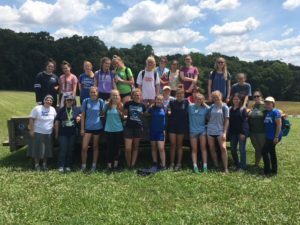 Several high school girls participating in a community and service retreat joined us for a morning in the garden. 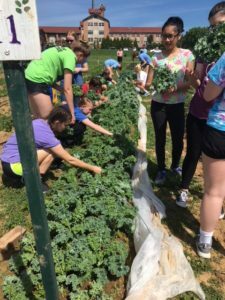 They experienced community as they worked in the soil helping us maintain the garden and prepare for our first farm market of the season. A big THANK YOU to all who helped us tend a small piece of Earth and we give thanks for the gift of this soil that has brought us together as community!